Born in Medellin (Colombia) in 1972. 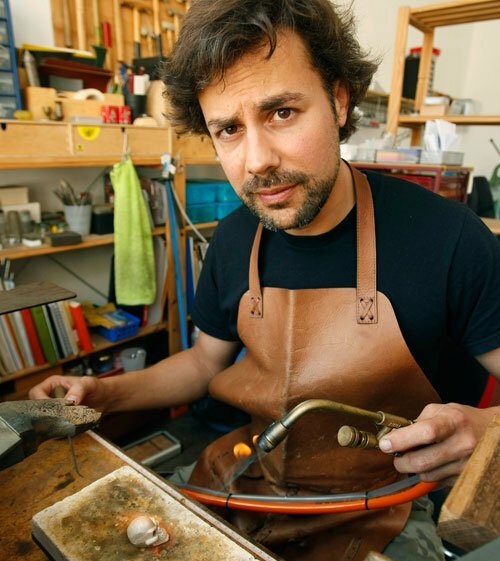 He studied goldsmith techniques at the Massana School and at the Art and Trade School in Barcelona, where he has been living and working since 2000. All of Nicolas Estrada's work reveals a recurring reflection relating to the period of great social conflict in which the artist grew up. He creates unique pieces, blending subtle irony with a remarkable knowingness. 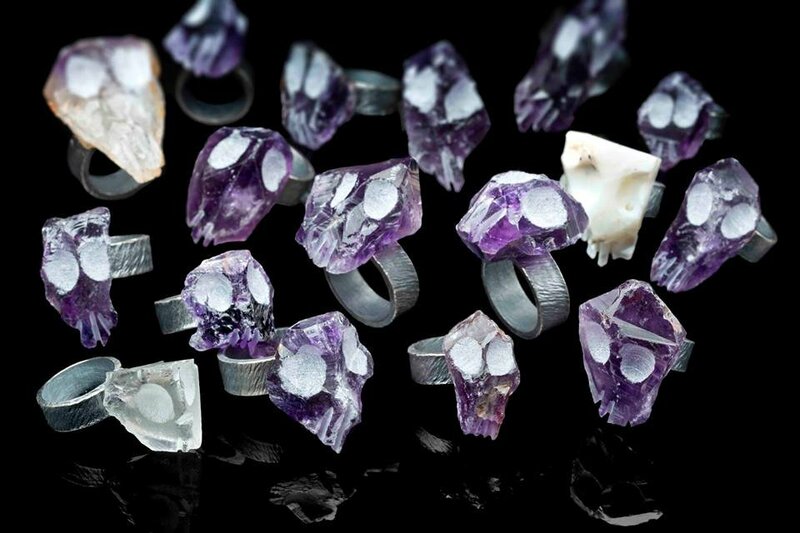 In his studio, Amarillo Joyas, Nicolas creates objects which establish a unique bond with whoever wears them. By way of depicting images like a sad soldier, dreaming and faintly pulsating hearts, virgins full of bitterness, each of his pieces introduces the observer to a story.